It was with great anticipation that I set out for Puerto Rico to attend the PR-GRID conference, an energy-industry conference attended by both the public and private sector players in Puerto Rico’s energy industry. Notable attendees included the ex-CEO of PREPA (the Puerto Rican Electric Power Authority), representatives from FEMA, the Department of Energy, and numerous commercial vendors ranging from solar companies to wire manufacturers. The purpose of the event, which was hosted at the InterContinental Hotel in the wealthy Isla Verde district of San Juan, was to discuss the devastation caused by Hurricane Maria (which resulted in 4-6 months of outages for most Puerto Rican residents) and to discuss pathways forward for a still-badly-damaged and bankrupt public energy sector. While most of the presenters agreed that the Puerto Rican energy industry is badly in-need of a thorough overhaul and restructuring, the strategies for how to rebuild it could be broadly divided into two groups: those who believe that energy generation should remain centralized, concentrated, and based primarily on fossil fuels; and those who believe in a decentralized structure consisting of renewable resources, battery storage, and microgrids. Around 9:00 pm, I found myself mingling with members of FEMA, the Department of Energy, and the Rocky Mountain Institute at a boardwalk mixer sponsored by the Smart Energy Power Association (SEPA). While casually chatting with my new friends about their various experiences on the island, many of whom had been stationed here upwards of 6-months, we were presented with a stark reminder of the fragility of the Puerto Rican electrical grid. In the blink of an eye, the boardwalk went dark. 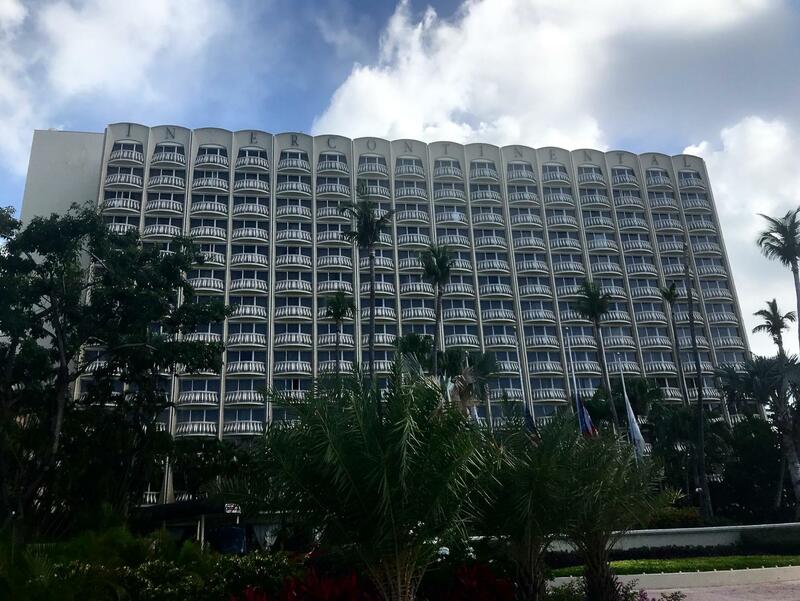 My first reaction was to assume that a breaker had been tripped or a transformer blown–but a quick scan of the surrounding hotel resorts revealed that this outage was a small corner of a much larger portrait of darkness. While I could see distant lights inland, it was clear that the entire beach strip had lost power, the only visible light coming from green exit signs. Within 15 seconds we heard the roar of a generator, and power hesitantly flickered back into the lights of our hotel. Meanwhile, the less fortunate neighboring buildings remained dark, and the shifting beams from dozens of flashlights shining inside hotel rooms revealed that hotel staff are both prepared for and accustomed to outages. One controversial topic that was brought up repeatedly at the GRID conference, and again in my travels around the island, was the phenomena of people choosing to stay off-grid, even after centralized grid power was returned (tenuously) to their neighborhoods. 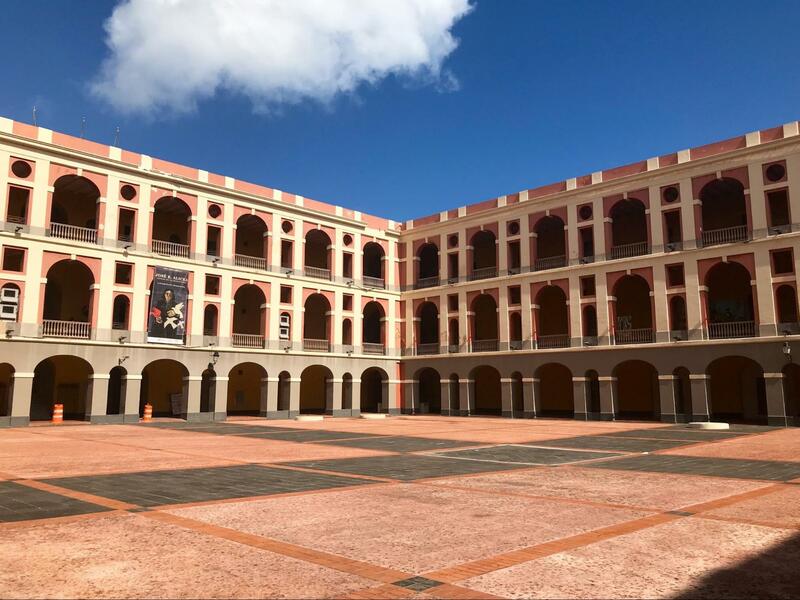 Although much more common in rural southern areas like Humacao, where most people experienced outages of five months or longer (and as many as 80,000 people are still in the dark), some residents of the San Juan metropolitan region have chosen to remain disconnected, instead utilizing and expanding the solar and battery backup systems that they cobbled together in the wake of Hurricane Maria. 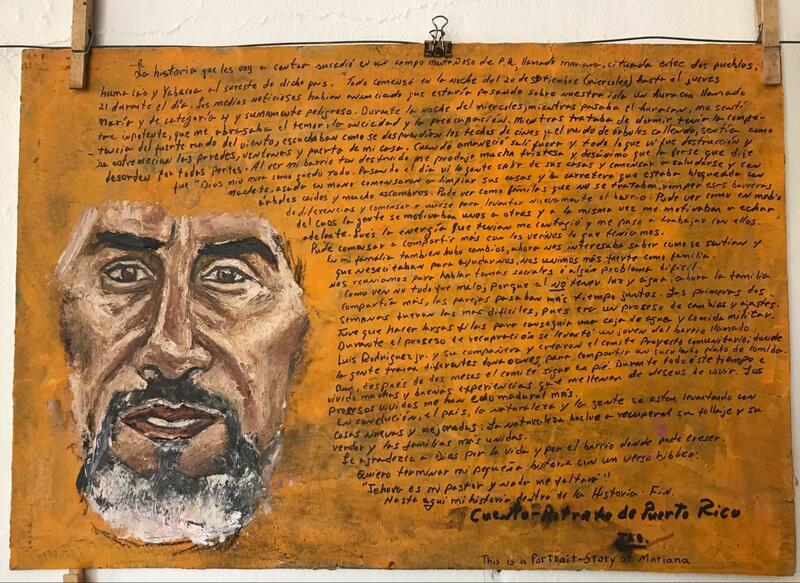 What I found to be the most extraordinary was the level of expertise that the average Puerto Rican had developed regarding solar and battery technology. While hitching a ride to the southeastern region of Humacao with Karen, a 20-something year old Puerto Rican native, she told me in great detail about the new 4kw solar array which she had designed using YouTube videos, and was building to replace the 2 cheap panels she had purchased immediately after the hurricane. Why? Because she wanted to be able to use her hair-dryer again. 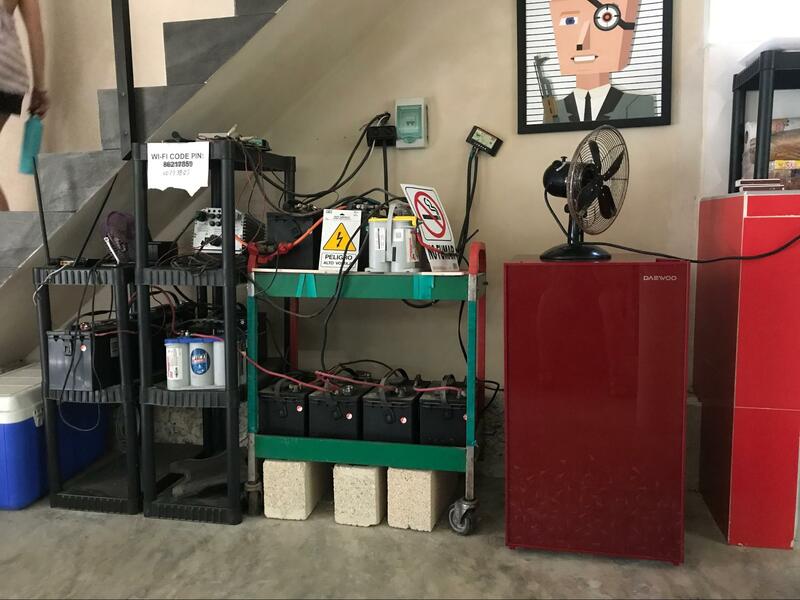 A bootleg off-grid solar-battery system in an Airbnb apartment. 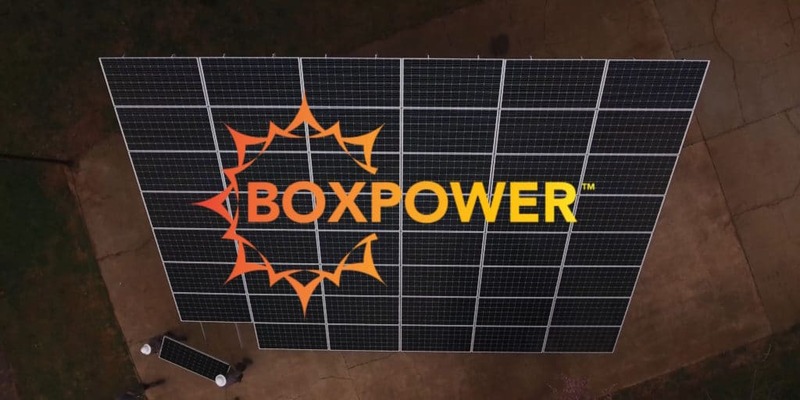 Driven by the highest energy costs in the nation ($0.22/kwH, compared to a national average of $0.12) and a deep distrust for PREPA created by their delayed response time, these newfound solar entrepreneurs have taken it upon themselves to move the needle on solar energy in Puerto Rico, and they aren’t waiting for anyone else to do it for them. Unfortunately, PREPA and the rest of the traditional energy providers on the island have a less flattering term for these innovators. “Grid Defectors.” If I had a dollar for every time I heard this term used by members of PREPA, power plant operators, or regulators, I would have more money than the entire Puerto Rican Electric Power Authority (hint: they were billions of dollars in debt BEFORE Maria, due to poor economic planning and failed investments). One of the more concerning proposals that I heard was that they plan to deter people from going off-grid by creating a tax or fine for those who choose not to source their power from PREPA. This was justified by the reasoning that ‘grid defectors’ (who are most often among the wealthier citizens of Puerto Rico, and can afford the minimum $8,000-$10,000 necessary for a minimal off-grid system), will cause electricity rates to increase for lower-income Puerto Ricans who will be forced to bear the fixed-costs of grid maintenance and capital improvements. While this reasoning is valid, (SEE: Utility Death Spiral), states like California, Massachusetts, and New Jersey have shown that if properly managed (and incentivized both financially and with regulations), solar and battery systems can help to create a resilient, affordable electricity grid for everyone. 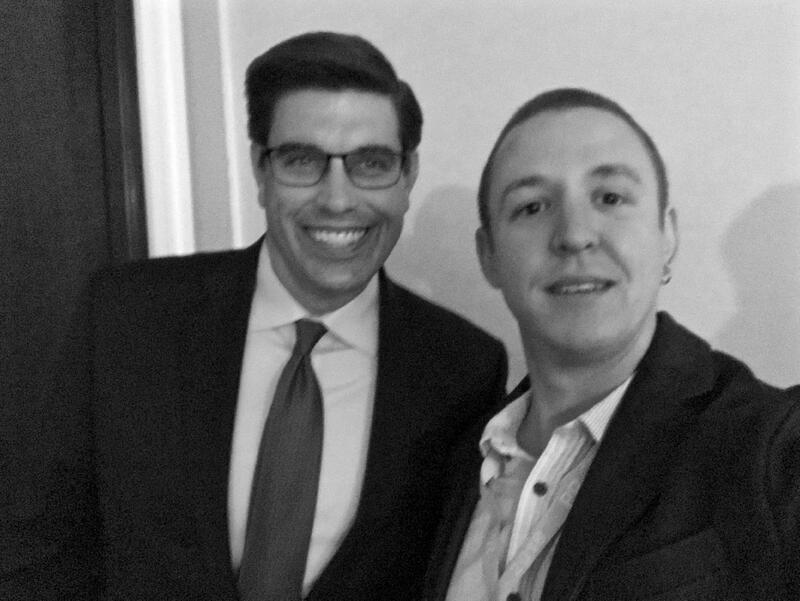 Me with John Berger, CEO of Sunnova. The elephant in the room throughout both the conference and my subsequent trip to the remote southeastern region of Humacao, was the government-mandated privatization of PREPA, and the details of what this privatization would mean for rural residents, renewable energy companies, and the island as a whole. Although no official statement has been released confirming or denying plans to privatize PREPA, it is widely accepted as a high-likelihood solution for PREPA’s looming debt and history of financial mismanagement. For both the solar and fossil-fuel generation industries, this possibility creates a daunting level of uncertainty with regards to how Power Purchase Agreements, Independent Power Producers, and Net Metering regulations will change in the coming year. For rural residents like Lois and Katherine, residents of Mariana who have been without power for 8-months now, they believe that privatization could result in the indefinite absence of grid electricity in low-income rural regions like theirs, due to the high cost of rural infrastructure and the low inventive of returns for a private utility company. 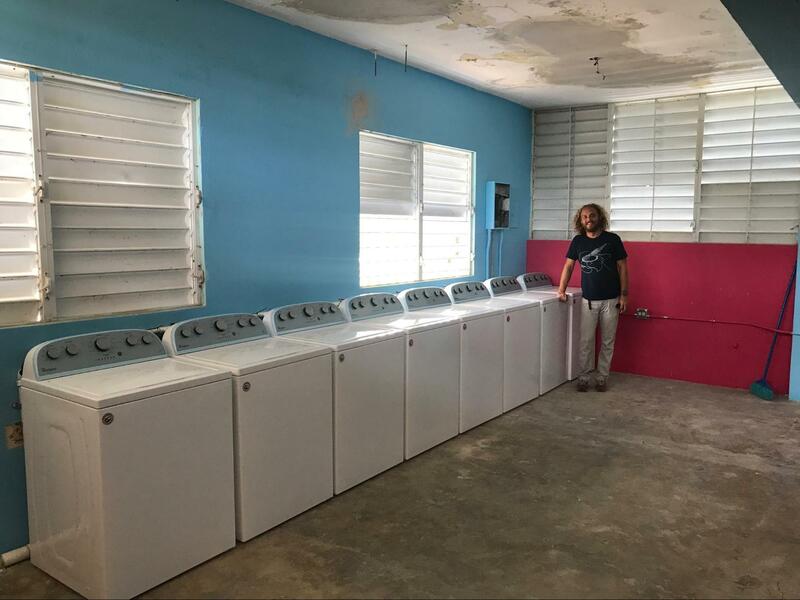 Luis Rodrigues, Co-Founder of PAM Mariana, proudly standing in front of the newly installed community laundromat (Soon to be energized by BoxPower!). A story from a resident of Mariana. Previous: Previous post: BoxPower at eLab Demo Day 2017! Thank you very much for the great write up. I have shared it on my facebook page. Thanks for the share – we are glad you enjoyed the article! Let us know if we can provide you with any additional information. We are happy you enjoyed our article! Let us know if we can provide you with any additional information.